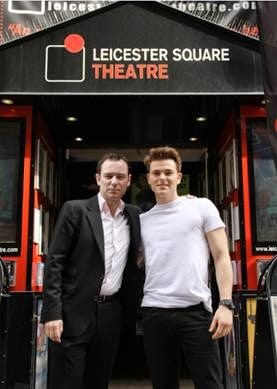 The cast and producers of Epstein: The Man Who Made The Beatles - the long-awaited play about the legendary music manager Brian Epstein - visited London’s Leicester Square Theatre last week to officially launch the show’s initial 6-week run at the venue this Summer. The Beatles Manager superbly portrayed by Andrew Lancel. Martin Witts, Artistic Director at the Leicester Square Theatre said: “We are very much looking forward to having this exciting new play in residence at the Leicester Square Theatre throughout the Summer period, it is a perfect fit for our diverse audience and a great attraction for international visitors. It’s very fitting that the show is coming to London during what is going to be a Rock and Roll year celebration of Brian Epstein’s life and the instrumental impact he had on popular music, we hope it will run and run." Supported by Orange Amplification, Arts Council England, Liverpool Vision and Liverpool Echo.